An annual chimney cleaning is vital to maintain your chimney and keep your New Berlin home safe. During the cold New Berlin winters, your fireplace works overtime to keep you, your family, and your home warm. For the best chimney cleaning services available, New Berlin residents turn to Wisconsin’s best chimney sweeps: Wisconsin Chimney Technicians. Over time and use, a natural buildup of soot and creosote forms in the flue of your chimney. These are natural byproducts of burning wood in your fireplace and need to be cleaned from your chimney. Excessive soot and creosote buildup impedes proper ventilation and can be a fire hazard under certain conditions. The experts at Wisconsin Chimney Technicians are your trusted provider of chimney cleaning and chimney sweep services in New Berlin. We offer residential chimney cleaning services for all types of chimneys. Don’t allow buildup in your chimney to adversely affect your New Berlin home, call Wisconsin Chimney Technicians today. After years of use and wear, chimneys with clay flues are often cracked and damage. The two options to repair the flue are to install a liner or resurface the flue. Wisconsin Chimney Technicians’ New Berlin chimney repair specialists use HeatShield® flue resurfacing system, ideal for flue linings which are structurally sound but have some minor cracks and chips. Using HeatShield® flue liner is, in many cases, a cheaper and more ideal alternative to installing a flue insert. Moisture poses an immense threat to New Berlin homeowners and can lead to expensive repairs if not managed properly. Moisture damages the mortar between bricks, especially in areas with large temperature fluctuations. Water and moisture can also damage your flue joints, dampers, chase covers, and cause mold and rot in your home. High quality stainless steel or copper chimney flue caps will keep your New Berlin chimney clean and dry. A flue cap also prevents wind from blowing down your chimney, negating draft problems and preventing animals from nesting inside. Read more about our chimney wash installation service. New Berlin residents often overlook a potentially serious danger to their homes: clogged dryer vents. Dryer lint filters capture most of the lint but not all. Lint which gets by the filter lodges in your dryer vents, causing your dryer to work harder and longer than it has to. Clogged dryer vents also pose a potential fire hazard to your New Berlin home. Lint is highly flammable and under the right conditions could ignite, causing a fire in your vent or dryer which could spread to the rest of your home. Wisconsin Chimney Technicians recognizes the importance of regular dryer vent cleaning and our friendly, courteous staff will clean your dryer vents, ensuring safe and efficient dryer operation. 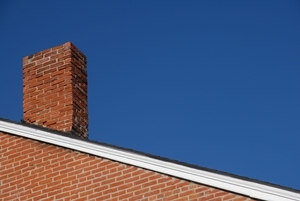 Keep your New Berlin chimney in top condition and prevent minor issues from becoming major problems with a chimney inspection from Wisconsin Chimney Technicians. From basic visual inspections to closed circuit video examinations, the chimney specialists at Wisconsin Chimney Technicians offer a wide range of chimney inspection services for New Berlin residents. We will inspect your entire chimney system and make recommendations to improve and protect your chimney. Contact the New Berlin chimney maintenance experts at Wisconsin Chimney Technicians today for superior chimney inspection, repair, cleaning and rebuilding services.